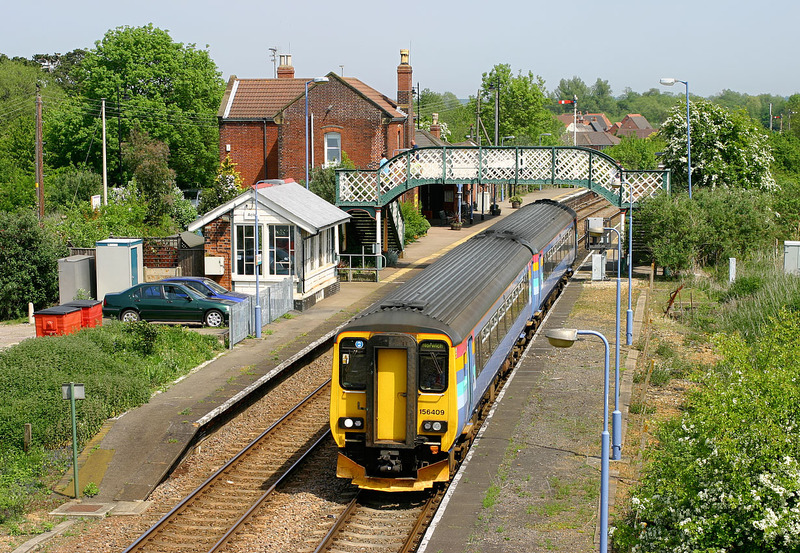 156409 leaves Acle station on 12 May 2008 with the 2P17 13:17 Great Yarmouth to Norwich National Express East Anglia service. This unit is wearing the former One Railway livery, with the branding removed. Acle station retains a lot of period charm, with hardly any signs of modernisation. Semaphore signalling still being controlled from the diminutive signal box on the platform. The section of platform in the foreground is now not used by passengers and seems to have been taken over by rabbits!